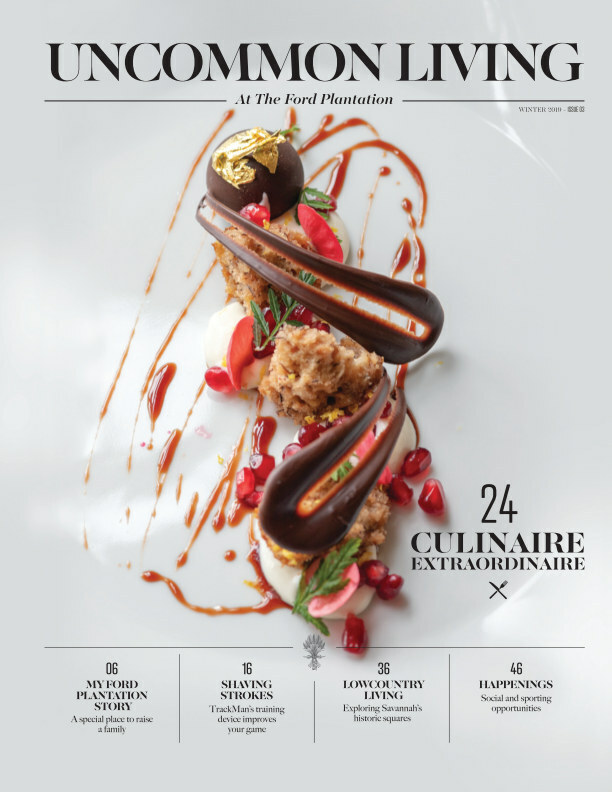 Uncommon Living is the quarterly publication of The Ford Plantation, the South’s premier luxury sporting community. The Ford Plantation, once the 70,000-acre winter retreat of auto magnate and billionaire Henry Ford, is today a 1,800-acre private community built around one of the nation's top 50 residential golf courses. The lifestyle magazine includes articles about the breadth and quality of amenities that make life at The Ford Plantation, an unrivaled place for Uncommon Living.